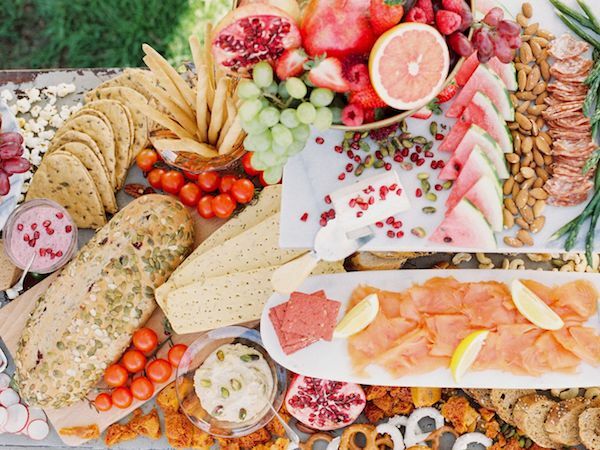 Be prepared to have your mouth water over today’s wedding grazing table advice. The Curated Kitchen‘s Creative Director Dani is here sharing her top tips on creating something special for your wedding. The Curated Kitchen offers a luxurious alternative to formal wedding catering, as Dani explains “The ethos of the company is simple, to celebrate the simple pleasure of delicious food by creating warm, sociable dining experiences of sheer indulgence.” So let’s get Dani’s expert wedding grazing table advice for building something beautiful for your wedding. To help keep grazing tables authentic and of the season, I love to use fresh, seasonal, local produce and homemade elements. I also like to include some interesting flavour combinations to really pique interest and tantalise the taste buds. 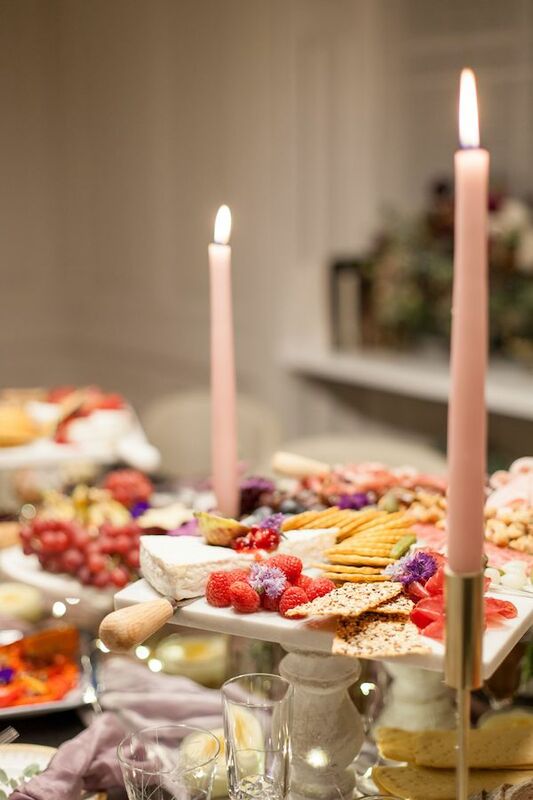 Think about the best position for your grazing table, you’ll want to create a focal point but you’ll also need plenty of space around it for guests to loiter and feast with abandon. Use props, interesting platters, heirloom tableware, florals and foliage to help create a real impact and incorporate any theme you may have. 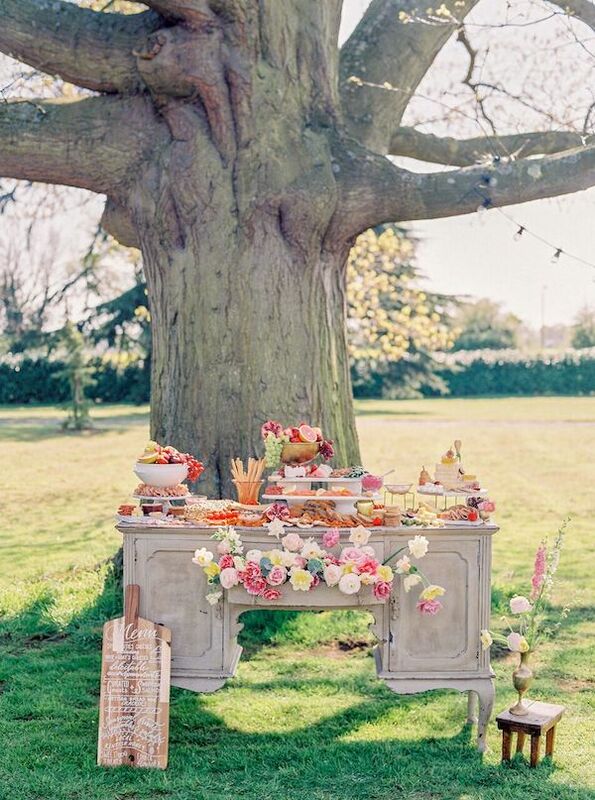 You could add extra wow factor by using an interesting piece of furniture to display your graze upon. 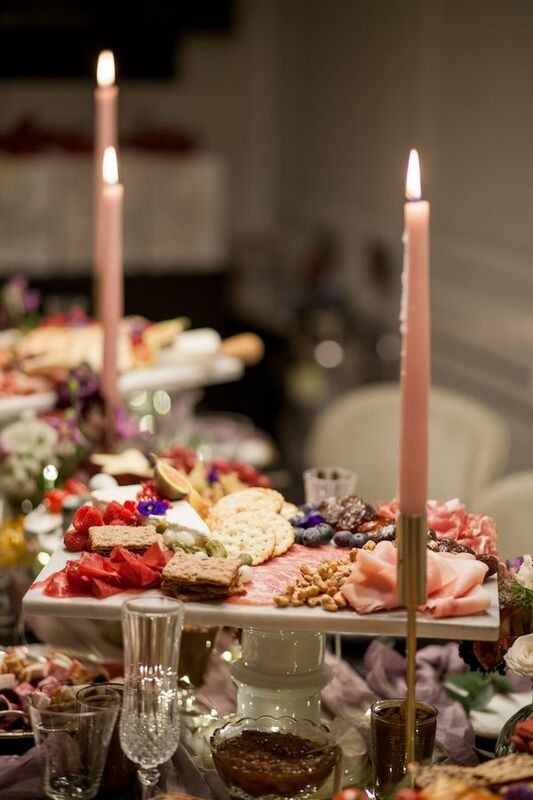 Using boards and platters displayed at varying heights helps to create interest and gives a landscaped effect, it also allows you to fit more food on the table! To help create the luxe feel go to the effort of decanting any shop bought dips and relishes into nice pots, jars, dishes or bowls – no one wants to see houmous still in it’s plastic tub! Insider tip: Put a base layer of parchment or greaseproof paper on the surface of your grazing table – not only will this help to protect the surface of your beautiful heirloom dresser, it makes super short work of tidying up (win!). Told you your mouth would be watering… thanks to The Curated Kitchen, check out their site for more innovative wedding dining ideas.